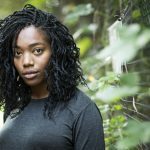 The post Star Wars Episode IX: Naomi Ackie’s Character Shares Scenes With Finn, Poe, and Rey appeared first on Star Wars News Net. GMA’s Harrison Ford Interview about Star Wars: The Force Awakens! Good Morning America Star Wars Cast Interview Video Round Up! Daisy Ridley and John Boyega Featured On Hollywood Reporter Magazine. Update! Empire Reveals the Name of a New Planet from Star Wars: The Force Awakens!